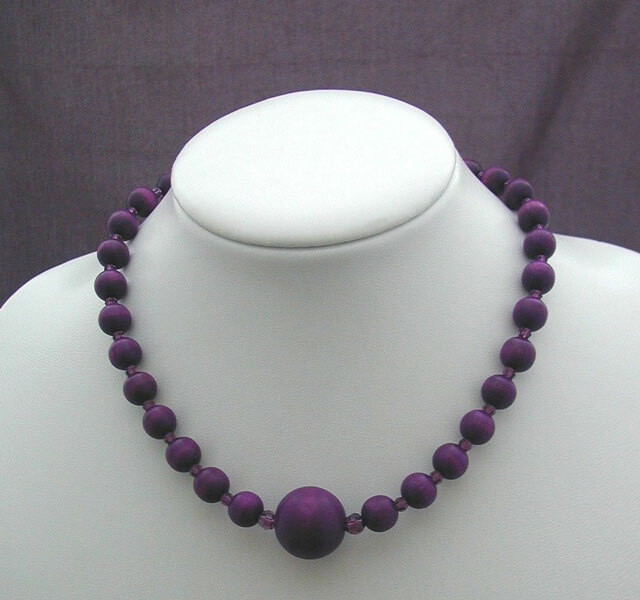 This 16" necklace is made up of some delicious plum purple wooden beads I discovered in London recently.The main bulk of the wooden beads are 1cm in diameter but the focal point bead is 2cm across. This is more of a day wear necklace due to its length but the deep purple colour and accompanying swarovski amethyst beads add a hint of glamour taking you into the evening. This necklace fastens with a sterling silver bolt clasp and would be perfect for this seasons bold purple trend.